A number of short treatises, in verse and prose, are attributed to the great Indian Teacher, Shankaracharya, though it is probable that the actual writing was done by his disciples. 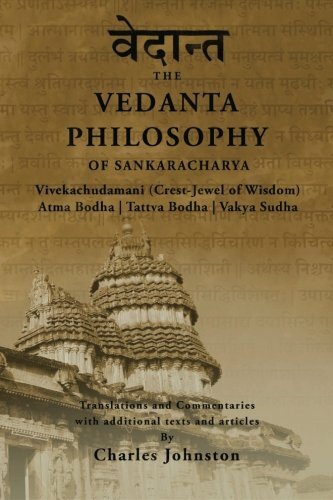 Among these treatises, there is one, Vakya Sudha, which has a particularly happy phrasing of the three worlds in relation to the seven principles of manifested life. The three worlds, beginning from below, are called “the ordinary world,” “the looking-glass world,” and “the transcendent world”; and the forms in which the One Spirit is manifested in these three worlds are called, in the same way, “the ordinary life,” “the looking-glass life,” and “the transcendent life,” the last being in reality one with the Eternal. This apt and lucid naming of the three worlds lends itself admirably to the purpose of the present “Notes and Comments.”1 That purpose is, so far as may be possible, to indicate the character of the psychical world, which corresponds to the looking-glass world of our treatise; to show the place which the psychic world holds in normal development; and to describe certain morbid developments, which lead to confusion, and which are full of danger. The theme, therefore, is the normal and the abnormal activity of the psychic world. “There are celestial bodies, and bodies terrestrial: but the radiance of the celestial is one, and the radiance of the terrestrial is another. There is one radiance of the sun, and another radiance of the moon, and another radiance of the stars. For star differs from star in radiance. “So also is the rising up of the dead. It is sown in corruption; it is raised in incorruption: it is sown in dishonour; it is raised in radiance: it is sown in weakness; it is raised in power: it is sown a psychical body; it is raised a spiritual body. If there is a psychical body, there is also a spiritual body. So we have the threefold division: the terrestrial man, the psychical man and the spiritual man; exactly corresponding to the threefold division of our Sanskrit text: the ordinary man, the looking-glass man, and the transcendent man. And we have the further point in Paul’s classification, that the psychical man “bears the image” of the earthy, again suggesting the simile of the looking-glass, the image in the mirror. What does our Sanskrit text mean, when it calls the middle world the looking-glass world? The meaning is, that the middle world, the psychical world has, in fact, the character of a looking-glass. It reflects in itself both the world which is below it and the world which is above it. And, like a looking-glass, it reverses the images which it reflects, so that the positions of right and left are interchanged. It reflects and perverts. We may think of the ordinary man of our threefold division, the terrestrial man of Paul’s phrasing, as using directly the energies and perceptions of the physical body, but using them without being conscious that he is conscious. He has direct consciousness but no reflective consciousness, no true self-consciousness. To use the common phrase, which in this case has a sound basis in metaphysics, he perceives and acts, but he does not reflect. So far as concerns true self-consciousness, consciousness of his true self, it is simply not there. How is he to be led to this true self-consciousness, this consciousness of his true self? How is he to be led to reflect? It would seem that the universe has provided the looking-glass world exactly for this purpose. In order to see what he looks like, in order to reflect on himself, to become conscious of himself, he is provided with a looking-glass. And that looking-glass is the middle world of our threefold division, the psychical world; or, as the Sanskrit text calls it, the looking-glass world. In our ordinary experience, the psychical world acts in this way: we look at something, for example a tree. Two things happen: first, we see the tree outside us, as it grows in the earth; then we see the tree in our minds. We form a mental picture, a mind image, of the tree. It is reflected in our looking-glass world. So that there are two trees: the ordinary tree and the psychical tree. And we can carry the psychical tree away with us when we leave the ordinary tree behind. This mirroring, this catching of images in the looking-glass of our psychical world, is the basis of memory. Shankaracharya compares the mind image to a picture painted on canvas. We actually paint such a picture of the tree, and carry it about with us. When we look at this picture, we say that we “remember” the tree. If we were without desires and appetites, we might carry this process on indefinitely, simply gathering a multitude of pictures, and so enriching our memories. But we are not by any means without desires. There is the desire of sensation. There is the desire of life. How are these two desires affected by the activity of the looking-glass world? First, the desire of sensation. We may imagine the early races, like uncorrupted animals, eating to live; using the senses of taste and smell to distinguish between things wholesome and unwholesome; and, when they had eaten enough, forgetting all about food and turning their attention in some other direction. And we may compare with this our own procedure. The gourmand, as he eats, rests his consciousness upon the rich flavour of what he is eating, pressing each delicate morsel against his palate, and giving it the fine essence of his attention. Instantly the activity of the looking-glass world comes in. A highly energized image of that attractive flavour is reflected in his psychical world; and, after an hour, or after many hours, he can turn to it and savour its relish anew. It is a simple thing to see how greed and gluttony, the sins of the sense of taste, can grow up in this way. And it is easy to see that this process of focusing the consciousness on the activity of each sense, and thereby heaping up highly energized images of the things perceived by each sense in order to gloat over them, would make the operation of each sense morbid and unwholesome, creating a several sin for each several sense. The power of sight would become the lust of the eyes and so with the other senses. In this way, through the operation of the looking-glass world, the psychical man heaps upon himself dynamic images of the things perceived by his senses. As Paul says, he makes himself in the image of the earthy. So much for the desire of sensation. Then there is the desire of life, the desire to feel oneself an intensely vibrating living being. Here again the looking-glass world comes in, sophisticating the activities of the natural man. The natural man would use his powers vigorously and cleanly, when there was occasion to use them, and, when the occasion passed, would forget about them, and turn to something else, which he would carry out in the same simple way. So, we may surmise, it was with the early races. But, when the activity of the looking-glass world supervened, the hitherto unconscious natural man began to rest his consciousness in his vigorous activity, to savour it, to make pictures of himself in his mind, doing this or that thing admirably well, and to make pictures of other natural men doing the same kind of thing. Comparison soon led to emulation, jealousy, the ambition to outdo others. And the contemplation of himself in his inner looking-glass had the effect so characteristic of looking-glasses. It led to self-admiration and vanity. These things are so much matters of our daily and hourly experience, that we take them altogether for granted. They seem to us the normal order of things; and we call “natural” what is really not natural at all, but an inversion of the true order of nature. For we conceive that the true order of nature, the original divine plan, was that the looking-glass world should indeed be used as the mirror, making possible self-consciousness, consciousness of self; but that this mirror should not come into use until we had so far progressed as to be able to look into it from above, instead of from below. Let us think of the uncorrupted natural man as we have described him, the man of the earlier races; and let us imagine that, after he had gained a firm possession of the whole range of his natural powers, but a possession still unconscious, still without reflective self-consciousness, without consciousness of self, he had been transported directly to the transcendent world, and had there begun to build what Paul calls the spiritual body. Already firmly established in the transcendent world, with the essence of immortality, of spiritual life, already in his veins, so to speak, he could then, through the mirroring power of the looking-glass world, have come to a wise and sane self-consciousness, a consciousness of himself as an immortal, gaining this self-consciousness by watching himself in the mirror; looking, as it were, into the upper side, the spiritual side of the mirror, which reflects divine and heavenly things. Man would in this way have come into possession of a true self-consciousness, a consciousness of his true self, without sin. And, beginning with this true self-consciousness, he could then have gone forward, scaling the magnificent heights of the Eternal; carrying into the heart of the Eternal this treasure of spiritual self-consciousness, making the Eternal realize its own glory, and so fulfilling the divine plan for the progress of all Being. This is, perhaps, what is suggested by Paul, in the second letter to the disciples at Corinth: But we all, with open face beholding as in a mirror the radiance of the Master, are changed into the same image from radiance to radiance, even as by the Spirit of the Master. Let us try to work this out a little more in detail. Going back over the steps we took, in describing the psychical growth of man under desire, let us see what might have happened, had he approached the mirror from above; had he looked down upon the looking-glass world, instead of breaking through into it from beneath. We have supposed him to be established in the transcendent world, and beginning to build the celestial body. But we do not mean that he has lost his footing in the natural world, or has left his natural body permanently behind him. He still, in our supposition, dwells in the natural world, wearing a natural body; but it is a body clean and uncorrupted, moving in a world sinless and full of beauty. We can conceive, then, this happy, unfallen man moving among the things of the natural world, yet using a perception already illumined with divinity; having spiritual consciousness, responding to spiritual law, but not yet spiritually self-conscious; being a spirit indeed, but not yet knowing himself as a spirit. Moving thus in the natural world, with consciousness rooted in the spiritual world, he would accumulate a gallery of mind images, but without the stigma of sin. From this picture gallery he would gain a sense of himself as having duration, of continuity, by storing up mind-images of himself doing many things, through many days and years; and, from each memory, he would deduce a corresponding expectation, the mind-picture of himself doing the same thing, exercising the same energy or power, in some future time and place. Thus looking with forward and reverted eye, he would come into consciousness of his immortality, would awake to the reality of his duration; would not only be an immortal, but would know himself to be immortal, entering into immortal self-consciousness, consciousness of his immortal self. Something like this, we conceive, was the divine plan for the evolution of man the immortal from the earlier natural man. But, according to an ancient tradition of the Eastern Wisdom, as the Powers of Good formed each energy of man, the Powers of Evil pierced it with their enchantments. As soon as the natural man was formed, the Powers of Evil made it possible for him to break into the mirror-world from beneath; made it possible for him to become self-conscious before he had gained spiritual consciousness; and thus made it possible for him, through the operation of the looking-glass world, to develop a sin for every sense, instead of developing a luminous, divine power. Yet even now, through the operation of the same Powers of Good, and by their ceaseless help and guidance, it is possible for him to retrieve himself; possible for him to catch the gleams of heavenly light coming down from the celestial world, the light now brought close to him and within his reach by the mediation of the Powers of Good. He still has the divinely bestowed opportunity to follow the gleam, to trace that stream of benignant light back toward its fountain head in the Eternal; and, in this way, to gain the true self-consciousness that was destined for him, consciousness of himself as divine and immortal, an undivided part of the supreme Eternal. But, because the Powers of Evil broke the way for him prematurely into the mirror-world, thus piercing each of his energies with their enchantments, he follows the upward path burdened with a terrible handicap. He carries the whole weight of the images of the earthy, perversely accumulated and heaped upon his shoulders. He is wrapped in a false self-consciousness, the consciousness of a false self, the lower personality, which is the sum of the images of the earthy which he has mirrored and painted upon his psychical nature. To take another tradition, also drawn from the Eastern Wisdom, unfallen natural man was set in the midst of the garden of the world, the world which, but for human sin, would still be in all its parts a garden of loveliness. And in the garden grew the tree of the knowledge of good and evil, which is the psychical world, the looking-glass world of our Sanskrit treatise. He was forbidden to eat of the fruit of that tree. It was not intended that, as natural man, he should enter the psychic world. This should have come only after he had been implanted in the spiritual world, the transcendent world of the Indian teaching. But the Tempter showed mankind the way to taste the forbidden fruit, to force a premature and dangerous entry into the psychical world; and mankind, doing this, thereupon began to sin, corrupting every sense by smearing it with psychic relish and allurement. And, through the same power of the looking-glass world, he built up a false image of himself, of his own natural body, infusing it with reflective consciousness and thus creating the false personality. Thus he built up a psychical picture gallery of alluring and clogging images of the earthy, and set a vain, self-centred image of himself as king in the midst of the gallery. The fall made possible and necessary, the redemption. Because man, while unconscious and, therefore, not yet responsible, had been turned by Evil Powers into the way of sin, the Divine Powers were thereby given the right to intervene to restore the injured work, to bring man back to the way of righteousness and immortality. But, because of sin which, at first unconscious, was continued with consciousness and deliberation, the divine path, which should have been a path of joy, has become a path of peril; there are dangers at every stage of the way through the psychical world. Even the images from above, the luminous rays of the sun, the radiance of the stars, reflected to him by the looking-glass are, by their very definition, reflections, inverted images; pictures, if you wish, in which the right hand appears as the left, the left hand as the right. And, because of this very nature of the world of reflection s, there is at each moment the danger of being allured by the reflection, even the reflected light of heaven; the danger of following the bent, reverted ray, instead of tracing the light back to its divine source, and thus gaining entrance into the transcendent world. It is a perilous journey through this maze of mirrors because there is, at every moment, the danger of our being fascinated by the image of ourselves in the mirror; when we have caught a ray of light, there is the danger of our halting on the way in order to admire the new luminousness thereby thrown upon our own faces; there is the incessant danger of self-praise and vanity. The enigma, the perplexity, arises from the inversion of the image in the mirror; as though, holding a mirror before our faces, we caught glimpses of something over our shoulders, seeing right and left reversed. It remains to bring the matter to a focus; to speak of a particular danger which continually besets us. In essence, it has been indicated already, but we may make it more concrete. The danger is this: we have come, let us say, to the point where we have recognized not only the killing burden of the images of the earthy, which we have heaped upon ourselves, but also something of the possibility of escape and redemption, some gleam of celestial light breaking downward to us through the clouds. We realize that the upward journey can be made; that there is a way, a path leading home. That fairly describes, perhaps, the experience of nearly everyone who, in the almost fifty years since The Theosophical Society was founded, has joined its ranks and has caught some realization of its ideals. So many have caught a glimpse of the light. But so few remain. Perhaps those who have not remained may be divided into two classes. First, those who quite lost faith in the light from above, and turned their entire attention once more to the images of the earthy in their psychical picture galleries. Second, those who, setting out toward the goal, catching some gleam of the heavenly light, yet lacked the purity of heart to make the journey, and were allured by the images in the looking-glass world, the distorted pictures of the things which are from above. With two aspects only need we deal: the psychical images of spiritual powers; and the alluring, corrupting image of oneself possessing and wielding these powers, to the admiration of oneself and others. What takes place then is an abortive birth, a premature and delusive outburst of life, which does not belong to the natural world, but which likewise falls short of the spiritual world. Take the old comparison of the divine life in us, to the sacred lotus. Rooted in the earth, it passes through the water, and blossoms in the air and sunlight. But what disaster, when the lotus blossom, instead of passing safely as a closed bud through the turbid water, prematurely opens beneath the water, soiling and rotting its petals, while the pollen, the symbol of the renewal of life, is washed away. This is an exact picture of what happens in what we may call morbid psychical development; this is the danger of psychism. It is, if you wish so to describe it, an inflammation of the psychic body; an inflammation expressing itself in two ways. First, there is an inflamed interest in psychic powers which are, at their very best, only looking-glass distortions of the true spiritual powers; a peeping curiosity about clairvoyance, clairaudience, messages from the unseen world; an inflammation of the surface of the psychic body, a hyper-sensitiveness expressing itself in visions and voices. It is difficult to say just at what point along this line insanity begins; in all likelihood the inmates of our asylums are people who see psychic pictures, and cannot distinguish them from physical things. But this wandering in the shapeless land is only the lesser half of the penalty of psychism. The greater penalty is an inflamed and assertive vanity; the overpowering desire to set up as a teacher, in virtue of these voices and visions; the longing to pose as an authentic bringer of light. To state the thing prosaically, these people not only announce that their voices and visions are Theosophy; they further announce that they themselves are the inspired leaders of the Movement. This is not an essay in history. Yet it will not be difficult to apply what has been said to critical phases of the history of our Movement. It will not be difficult to identify psychism in action. And it may be affirmed, in conclusion, that this single element has been the bane of the Theosophical Movement from the outset; that it, and its exponents, are the greatest obstacle in the way of presenting Theosophy in a sane way to a world that sorely needs it; that this same tendency of psychism, in one or other of its forms, is the menace in the future against which we must be ceaselessly on guard—not alone in others, but in ourselves also.